SAN FRANCISCO (Reuters) - The U.S. Department of Justice will disclose over the next two weeks whether it will continue with its bid to compel Apple Inc to help access an iPhone in a Brooklyn drug case, according to a court filing on Tuesday. 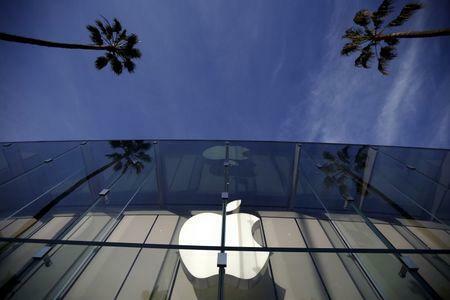 The Justice Department this week withdrew a similar request in California, saying it had succeeded in unlocking an iPhone used by one of the shooters involved in a rampage in San Bernardino in December without Apple's help. Prosecutors have not said whether that technique would work for other seized iPhones, including the one at issue in Brooklyn. Law enforcement officials across the country have said they have encountered Apple devices they cannot access. The legal dispute between the U.S. government and Apple has been a high-profile test of whether law enforcement should have access to encrypted phone data. Apple, supported by most of the technology industry, says anything that helps authorities bypass security features will undermine security for all users. Government officials say that all kinds of criminal investigations will be crippled without access to phone data. A federal magistrate in Brooklyn last month ruled that he did not have authority to order Apple to disable the security of an iPhone seized during a drug investigation. The Justice Department then appealed to a district court judge. After filing that appeal, U.S. prosecutors notified the magistrate in the San Bernardino case that a third party had demonstrated a new technique which could access the iPhone in question. The Justice Department disclosed the new technique to the judge one day after the demonstration, and then confirmed its success on Monday, according to court filings, though it did not reveal how its solution works. The U.S. government did not disclose any details in a letter to the Brooklyn judge on Tuesday. Instead, prosecutors only agreed with a request by Apple to delay briefing deadlines in the case, and said it would update the court by April 11 as to whether it would "modify" its own request for Apple's assistance. An Apple spokesman declined to comment. In court filings the company has said it would want to question any potential government claim that the technique which worked in California would not work in Brooklyn.